He really loves that rock ’n' roll! Adam Lambert is joining the cast of Fox's TV remake of Rocky Horror Picture Show, the network announced Thursday, January 14. The 33-year-old American Idol runner-up will play Eddie, the former delivery guy who rides his motorcycle and sings "Hot Patootie — Bless My Soul." The role was played by Meat Loaf in the 1975 cult film. "I grew up watching Rocky Horror, but could never imagine that I would be part of this new vision, " Lambert said in a statement. "Rocky Horror always made me feel like it was OK to celebrate my weirdness. Hallelujah, bless my soul! I love that old-time rock-n-roll!" Lambert joins a cast that already includes Laverne Cox as Dr. Frank-N-Furter, Victoria Justice as Janet, Ryan McCarten as Brad and Reeve Carney as Riff Raff. 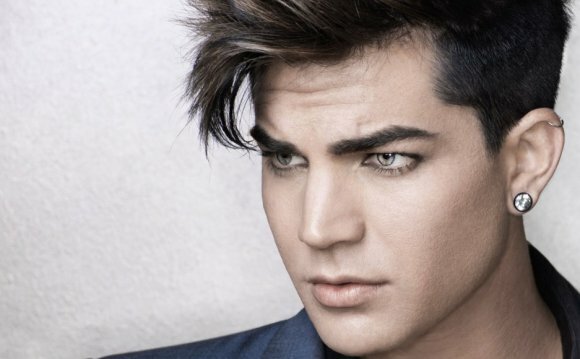 The casting continues Lambert's professional relationship with Fox on music-related projects. After his breakout success on Idol's eighth season, in which he lost the singing competition's crown to Kris Allen in 2009, he had a recurring role on Glee. Forbes recently named him 2015's highest-earning Idol alum, thanks in large part to him serving as Queen's frontman for the band's recent world tour. Rocky Horror, a two-hour taped production, is set to air in fall 2016 on Fox. The network also has Grease: Live set to air January 31.